You know I love my smoothies for breakfast and that's because they're so easy to make and you can get all the nutrients you need for the day all in one go. They're also great as post-work out snacks to get all your protein! 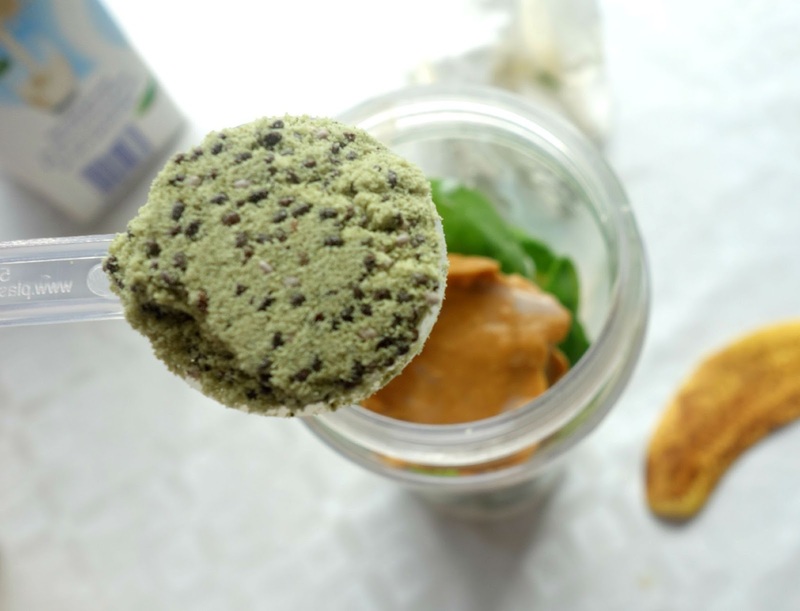 After going for a run around the block with my brother, I made this delicious peanut butter and banana smoothie using That Protein's pumpkin seed powder. Anyways, I found out about That Protein from the Bloggers Food and Drink Festival, and they were kind enough to give me samples to try out. 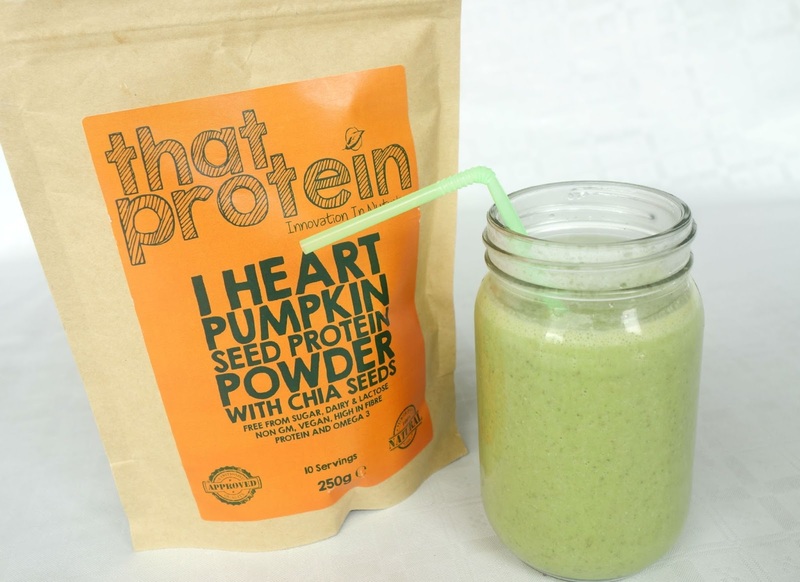 For this smoothie, I used the I Heart Pumpkin Seed Protein Powder which has chia seeds (ooh fancy!). 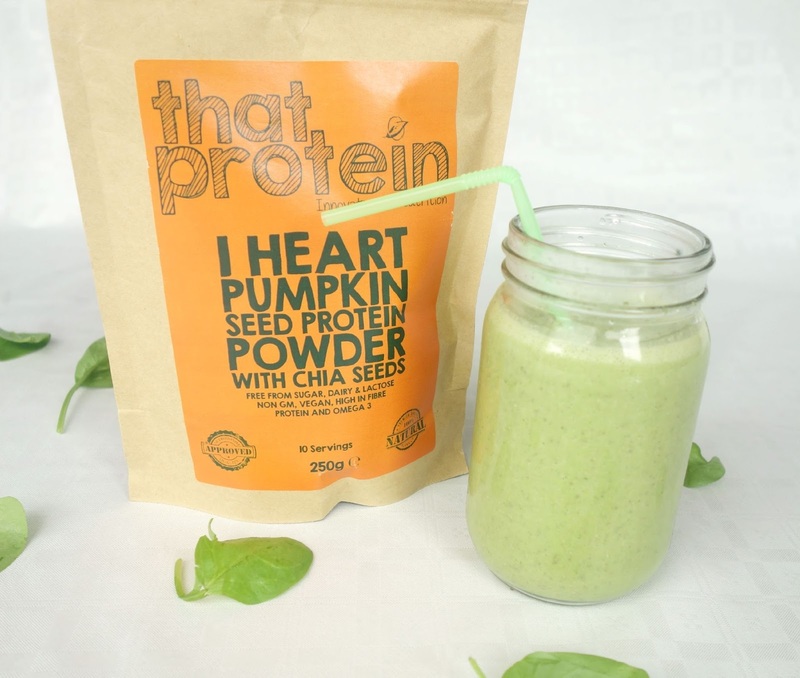 Their powders are free from gluten and dairy too. 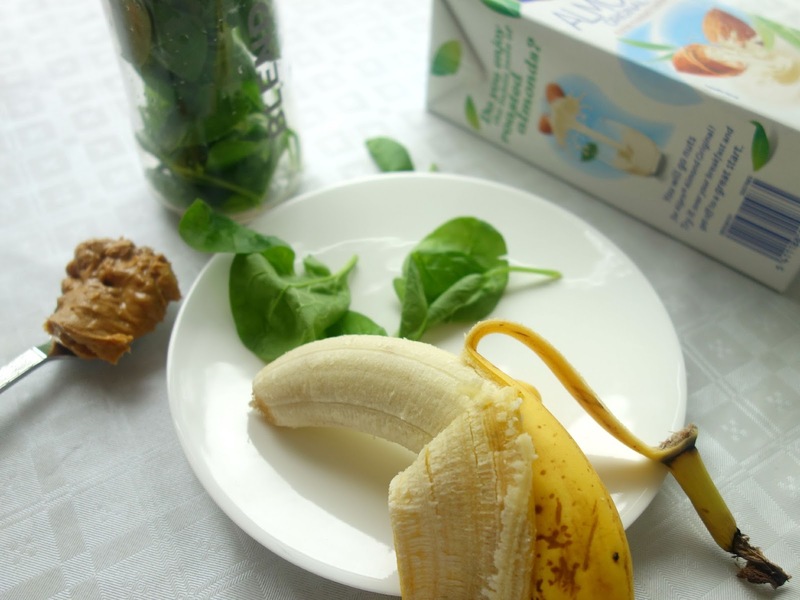 Like I said, I decided to make a peanut butter and banana smoothie with some spinach. 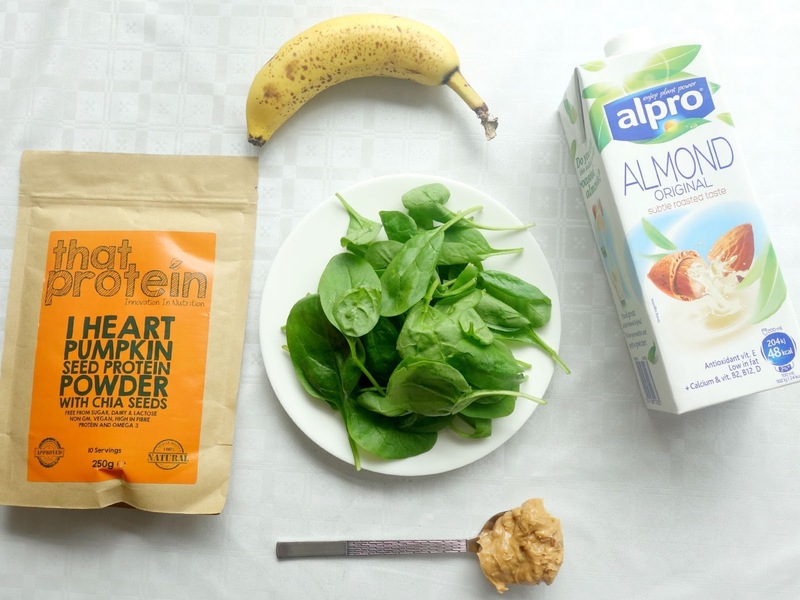 Spinach is tasteless, so there's no need to worry about your smoothie tasting like vegetable! I just blended (in my Blend Active Blender of course haha) all the ingredients you see above,with a little bit of almond milk. I really like the fact that the powder is thickening but doesn't have a taste, so it can go with anything and won't make it taste nasty like some powders do! 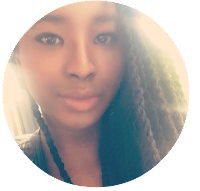 I'll be using That Protein powders in my upcoming recipe posts to challenge my creativity and also because I love it so much! Thanks to That Protein for the samples!